In 2013, A competition run in association with the Guardian asked for images that said something about migration to the people submitting them. It attracted about 900 contributions, from amateur and professional photographers, all of whom wrote about why they had selected that particular image. From these contributions, a judging panel selected 100 images they considered the most resonant, and these formed the basis of this exhibition, first displayed in Hackney and subsequently, Senate House (London), the offices of Freedom from Torture and the School of Museum Studies in Leicester University. The exhibition has now come to the Heritage Gallery in The Old Royal Naval College, University of Greenwich. 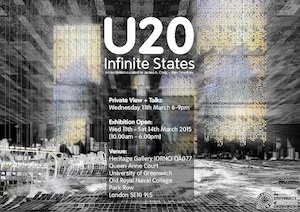 Unit 20 [MArch] presents Infinite States Work in Progress; a temporary exhibition consisting of a series of architectural models and drawings. 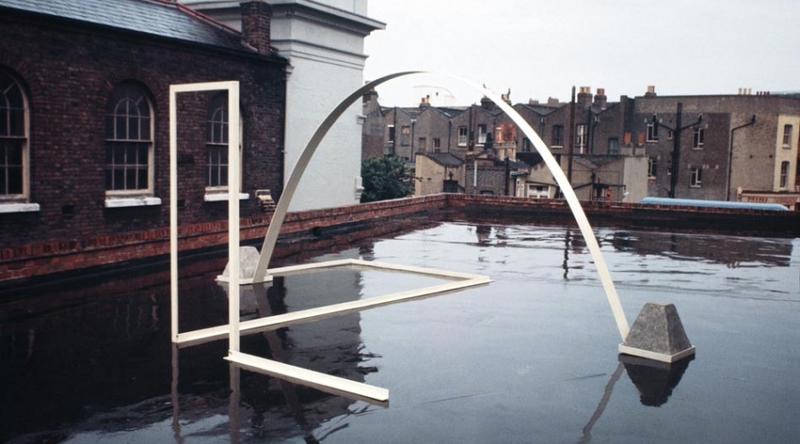 The exhibition explores new modes of spatial representation which determines relationships between the Royal Museums Greenwich, National Maritime Museum collection, and the wider context of East Greenwich. The objective of this project is to reveal how the objects of the collection are imbued with complex relationships to the landscape of East Greenwich, and how the ‘unpacking’ of those objects can be used as a design mechanism for a new architectural vision. Fred Pollock, Honeydripper, 1977; © Fred Pollock. Photo: Paul Minyo. 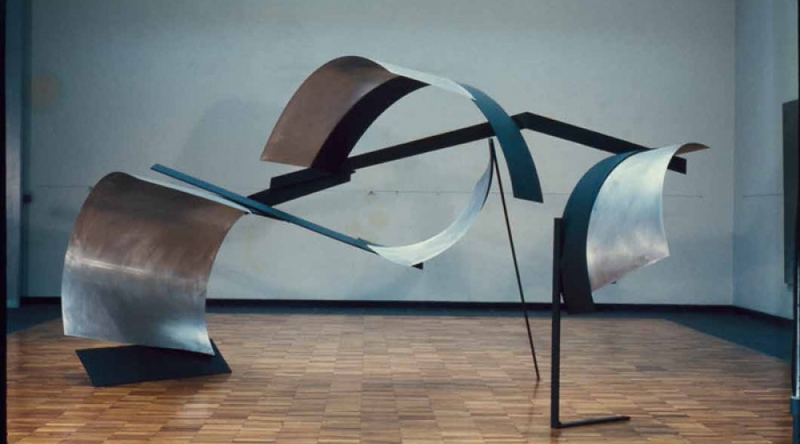 Roland Brener, Sculpture with Single Arch, 1968 - Photo: Roland Brener. © 2015 Roland Brener. All rights reserved. Project Space installation. 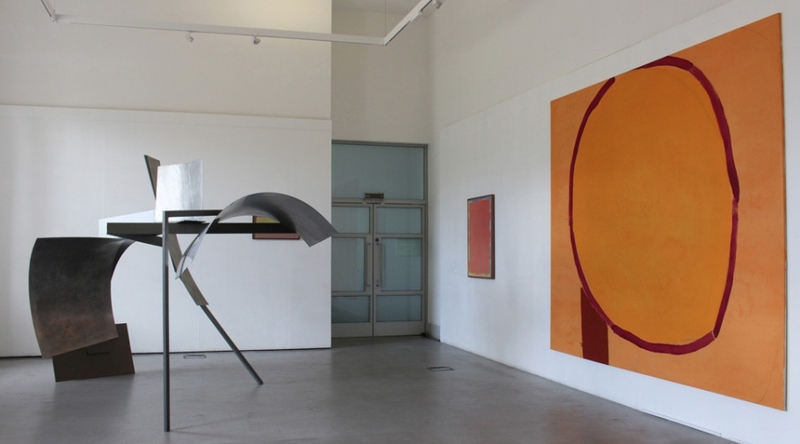 Paintings: (l - r) Abercrombie, Morris, Tonkin & James; sculptures: Smart & Gili. 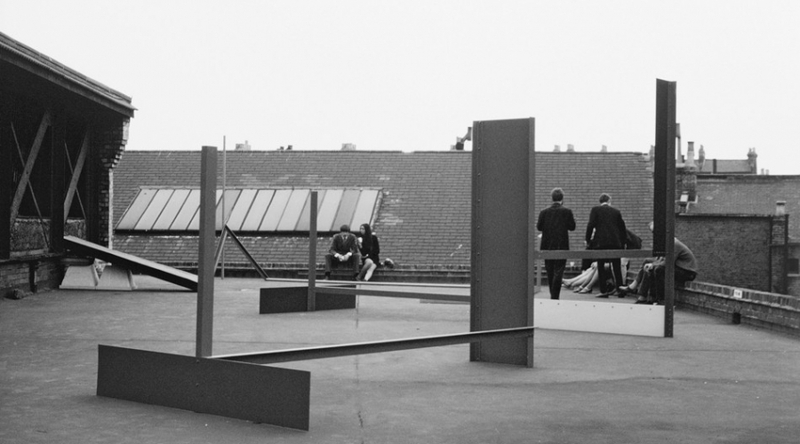 Note: Exhibition opens Tuesday – Saturday 11 am – 5 pm (closed Saturday 29 August). 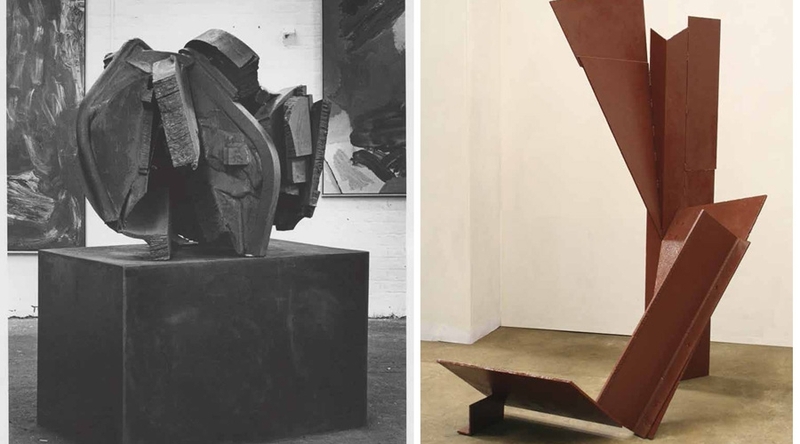 Founded in 1967, Stockwell Depot heralded the emergence of the London artists’ studio movement and gained international recognition as a centre for abstraction in Britain. For over 25 years, this disused former brewery in south London functioned as a co-operative studio and exhibition space. 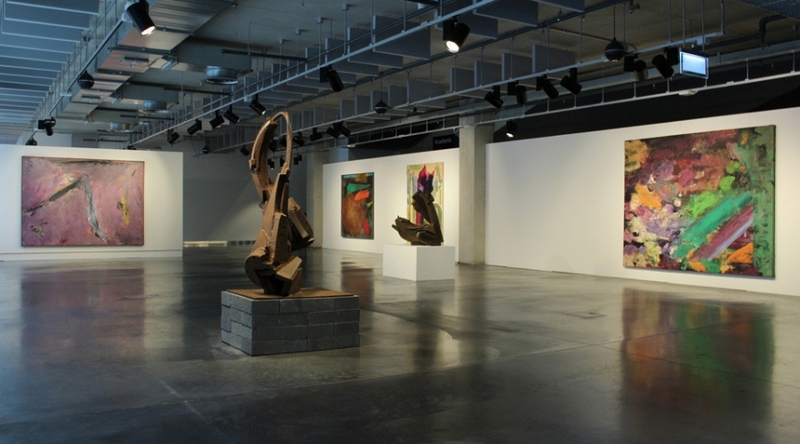 Artists associated with the Depot – Roland Brener, Jennifer Durrant, David Evison, Katherine Gili, Peter Hide and Roelof Louw, amongst many others – held differing and often competing attitudes towards art. 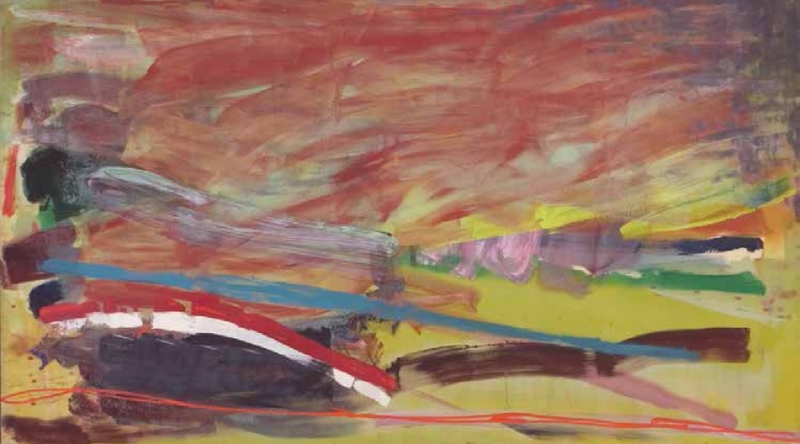 The ambitious work made and shown at the Depot tells the story of late modernism in Britain, tracing a period full of formal experimentation and critical debate.